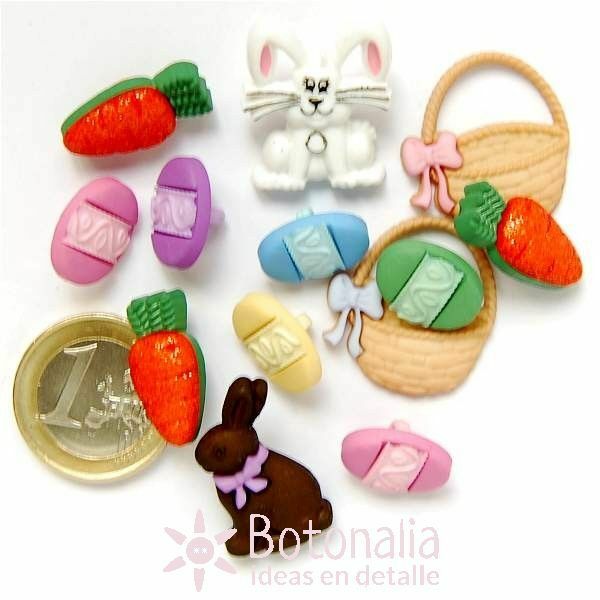 Product Description: Buttons with shapes of eggs and Easter embellishments. Ref. Dress-It-Up: 1302. 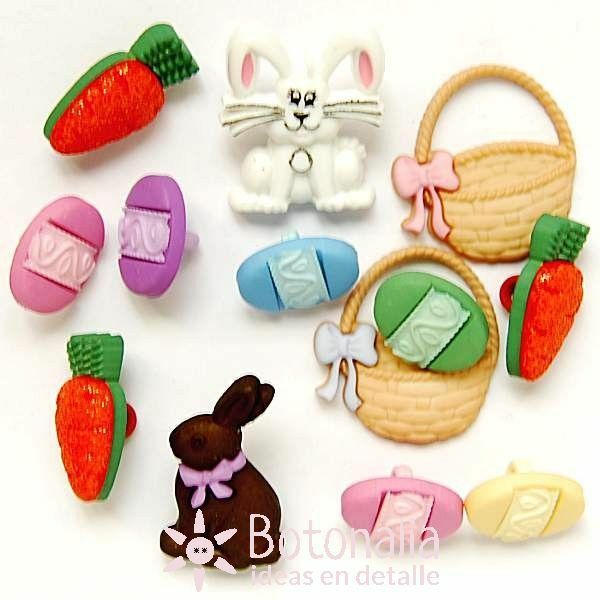 To be used in needlework, craft, scrapbooking, patchwork and card making projects. Diameter: from 16 to 27 mm.